HOUSTON -(Dow Jones)- The petroleum minister of Nigeria said Monday the country hopes the Organization of Petroleum Exporting Countries will improve the level of output quotas imposed on its members at its Oct. 14 meeting in Vienna. "I would hope that we will get specific improvements in terms of the quota...within the holistic parameters of what OPEC is set up to do," Nigeria Minister of Petroleum Resources Diezani Alison-Madueke said on the sidelines of an energy conference in Houston. Nigeria's government said earlier this year that OPEC output quota should be adjusted because its current target was agreed at a time when production was affected by militant attacks on oil facilities. Alison-Madueke said the country expects soon to make significant changes to the petroleum law that would attract investment and development of natural gas. "Within the next two years or so Nigeria will begin to make the transition to a gas-producing country" as opposed to a crude-producing country "since we have a lot more gas reserves," she said. Nigeria also expected to sharply reduce gas flaring in the next two years, she added. Lagos — Organised labour in the nation's oil sector, Petroleum and Natural Gas Senior Staff Association of Nigeria (PENGASSAN) and the Nigeria Union of Petroleum and Natural Gas Workers (NUPENG) have threatened to shut down all oil and gas installations in the country over what they called "insensitive passage" of the Petroleum Industry Bill (PIB) by the Federal Government. If the two unions go ahead with the threat, the country would be launched into another round of fuel scarcity. National presidents of PENGASSAN and NUPENG Comrades Babatunde Ogun and Achese Igwe in a joint statement yesterday said their action is in resistance to the inimical legislative process which is aimed at spelling doom for the Industry and the nation's economy if the PIB is passed in its current state. They said oil workers, who are the primary operators in the implementation process, were consciously excluded in the legislative and review processes. They said several concessions and compromises have been made at the behest of powers that be, at the dictates of institutions and the privileged, and at the whims and caprices of the barons that can pay the piper. The statement which was also signed by the general secretaries of both unions comrades Elijah Okougbo and Bayo Olowoshile said, "Both Unions are using this medium to inform the general public that several appeals and demands were made as organised labour in the Oil Sector to the Joint Committee on Petroleum, the Inter-Governmental Committee, the Group Managing Director of the Nigeria National Petroleum Corporation (NNPC), the Petroleum and Labour Ministers, and ultimately followed by our Save our Souls letter to Mr. President Dr. Goodluck Ebele Jonathan GCFR, drawing the attention of these institutions and authorities to the grey areas of utmost concern and interest to Labour and which in all ramifications serve to undermine the whole essence of Nigeria Content Development Act 2010 and other policy matters relating to local human capital empowerment, entrenchment of qualitative employment policy with career prospects, move to check the growing phenomenon of Casualisation and outsourcing trend in the sectors, and the exploration of potential capability of the Sector to significantly enhance job creation opportunity and Gross Domestic Product for the economy." According to them, 56 changes were made due to the comments made by OPTS, 36 changes made in response to internal government agencies, 66 changes due to the other stake holders, some changes made to reflect indigenous participants' comments and additional changes made due to other external bodies but that PIB has undergone discrete and selective legislative processes leading to contentious interventions that have caused fundamental reviews of the original draft and the inputs from public hearing while keeping same off-the-shelves and from the website to forestall transparency and easy access. They therefore said that the National Assembly should suspend the bill and ensure that the authentic bill that is being processed for passage is made public to ensure transparency in the process. The unions said they are aware that the International Oil Companies and NNPC brought into the legislative process their preferred version other than the Dr. Rilwan Lukman-led OGIC recommended version that was adopted by the Federal Executive Council (FEC) on September 5, 2007 as National Oil and Gas Policy to be legislated and passed into Law. They also said "the Joint Committee of the National Assembly and the Minister of Petroleum Resources should be compelled to engage the oil workers' Unions as a matter of utmost urgency". They further said the National Assembly should adequately accommodate workers' concerns in the Bill to protect Nigerians, especially on matters bordering on job security, staff pension and gratuity, employee transfer and transition and other matters that impact on statutory and conventional provisions on employment contracts terms and conditions as well as staff welfare issues. The unions said they got unconfirmed reports that Government may have jettisoned the idea of Incorporated Joint Venture (IJV) and other vital areas in the original bill. They said, "According to our sources, changes have also been made to the redefinition and role of institutional frameworks and the fiscal regime as proposed in the draft policy to the National Assembly. We are blurred on the considered alternatives; we strongly believe that we ought to be privy to these changes before the Bill is passed into law." "From the grapevine, PIB has been drastically bowed to essentially favour the interest of the International Oil Corporations (IOCs) against Nigerians' quests, ponders, questions and yearnings for the optimisation of our hydrocarbon resources," the unions also said. The 4,500 kilometre oil pipeline from Nigeria to Europe, the Nigal (Nigeria-Algeria) project, threatens to lose its way in the desert. 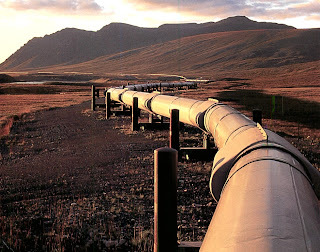 The pipeline, which is expected to deliver Nigerian oil to Europe through Niger and Algeria, took shape in 2002 after a memorandum of understanding between Algeria’s Hydrocarbons National Enterprise (Sonatrach) and Nigeria’s National Petroleum Corporation (NNPC). Subsequently, Algeria and Nigeria, as the main contributors, agreed to do a feasibility study, then set up a joint company to oversee the project. By 2007, everything seemed on course. Both countries did a media campaign in Europe to promote the project. In 2009, Niger joined the pipeline bandwagon. The momentum was on. Several international oil and gas firms— Total, Shell, ENI Agip, and Russia’s Gazprom — expressed interest. Guy Maurice, Total manager in Nigeria, said the project, “is a strategic diversification for Nigeria for the long term.” Russian President Vladimir Medvedev, on his recent visit to Nigeria, announced his country’s desire for a piece of the action. Following Medvedev’s comments, Gazprom and NNPC met to talk about investing at least $2.5 billion to construct the first segment of the pipeline. When built, the pipeline will be very impressive. Running 4,500km, it starts from the Niger Delta region in Nigeria (which has estimated reserves of 180,000 billion barrels), snakes across the country for 1,300km, then runs 750km through Niger, and finally crosses 2,500km of Algeria to end up in Algiers. Once commissioned, it will pour 20 to 30 billion cubic metres of oil into Europe every year. But while the oil was supposed to be flowing through the Nigal by 2012, completion is now likely to be delayed further — with the earliest date of commissioning now pushed back to 2015. Many difficulties have arisen, key among them being funding,” says Souaili. In spite of Algeria and Nigeria’s commitment to partially support the $13 billion pipeline, they have yet to put serious money on the table. The Nigal, therefore, still relies on foreign financial contributions. The European Union has said it considers the pipeline a strategic project, and has supported the research and development segments. “But Brussels,” observes Souaili, “is still plagued by doubt.” Moreover, he thinks the global financial crisis is not enough to explain Europe’s sudden reluctance. Mustapha Benkhemou, former energy strategist in the Algerian Ministry of Energy, says: “For Russia, oil is the trump card in its relations with EU countries. Currently, the European Union gets 40 per cent of its gas and 30 per cent of its oil from Russia. Algeria contributes 15 per cent. “In the long run, the European Union will not want to continue its dependence on Russia,” says Souaili, “especially after recent clashes over oil prices between Moscow and Kiev, and the effect on oil delivery to Europe. Other oil producers such as Norway, Qatar and Libya, he argues, are not able — for environmental, technical and economic reasons — to meet all European Union oil needs. However, finances are not the only problem, according to Algerian academic Mohamed Hachemaoui. The Movement for the Emancipation of the Niger Delta (Mend), an armed opposition group that proclaims sovereignty over the region, often attacks and kidnaps foreign workers, forcing federal authorities in the capital Abuja to meet its demands. Algeria, which has so far contributed more money to the Nigal project than Nigeria, has two pipelines to supply Europe. In 2009, it erected the Medgaz line, with an annual capacity of 8 to 10 billion cubic metres, linking the country to Spain through Morocco and Gibraltar. Galsi, built in 1996, links the Algerian coast to Italy through Sardinia, and has a capacity of 8 billion cubic metres. Algeria’s former energy minister Chekib Khallil was a champion of the Nigal project. But the corruption and mismanagement scandals that rocked the first National Hydrocarbons Enterprise (before it became Sonatrach) brought him down in last May’s government reshuffle. Sonatrach has a new boss, and also a new Minister of Energy, Youcef Yousfi, who was former director general of Sonatrach and minister of petrol and mines. So far, neither Yousfi nor Sonatrach’s new boss will say anything about Nigal. “We have to wait until November or December,” says Hafidh Souaili, before Sonatrach and NNPC meet and take a new set of decisions. That is a couple of months added to the delay. HOUSTON (Reuters) - Nigeria's parliament should adopt a new law governing the African nation's oil industry within "a few, short weeks," said Nigeria's oil minister at a Houston energy conference on Monday. "We expect in a few, short weeks it will be promulgated into law," said Diezani Alison-Madueke, Nigeria's petroleum resources minister, in a speech at Rice University. "Peace and calm as we have now found are necessary prerequisites for the development of our oil industry," she said. Social strife the Niger Delta, the heart of the oil industry, has already been reduced with an amnesty program for those who have attacked the region's energy infrastructure. Nigeria aims to be one of the world's top 20 economies by 2020 while at the same time becoming neutral on carbon output by 2025. Royal Dutch Shell Plc and partners are investing $2 billion in a program to end natural gas flaring in Nigeria, Africa’s biggest oil producer, after the projects were delayed because of funding and security problems. 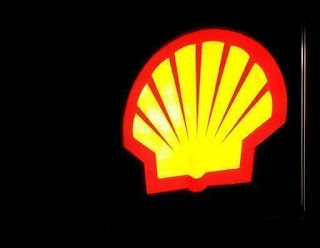 Shell Petroleum Development Co. of Nigeria, or SPDC, has invested more than $3 billion since 2002 to cut flaring of gas, which is pumped together with oil, said Alice Ajeh, a Nigeria- based spokeswoman at Shell. Flaring decreased 65 percent between 2002 and 2009, partly because of lower production, she said. “Due to security and funding issues, especially funding shortfall from our majority partner, a lot of the projects were stalled, or delayed,” Ajeh said in Shell video interview. “However, these projects are going right now, and we are happy at the pace at which they are going,” she said without saying when the flaring will end. 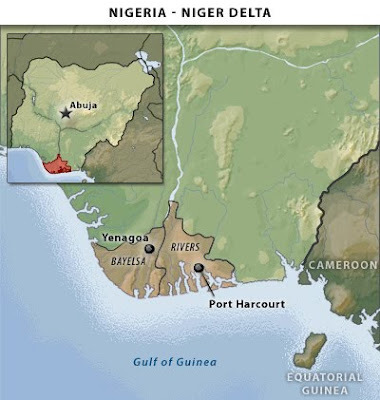 Attacks by armed groups in the Niger Delta, home to Nigeria’s energy industry, cut more than 28 percent of the country’s oil production between 2006 and 2009 and deterred investment. Output started to recover after a government amnesty program last year prompted thousands of fighters to disarm. SPDC accounts for 75 percent of domestic gas supply in Nigeria. Last year, 48 companies expressed interest in ventures that will help to stop the practice of burning off gas into the air. Once the program is completed, it “will cover more than 75 percent of SPDC’s production potential,” Ajeh said. The Hague-based Shell, Europe’s largest oil company, holds 30 percent of SPDC; Nigeria National Petroleum Corp. holds a 55 stake; Total SA has 10 percent; and Eni SpA 5 percent. LONDON, Sept 27 (Reuters) - Nigerian exports of crude oil will slip in November, loading programmes show, but sales will stay over 2 million barrels per day (bpd) and well above the country's OPEC target, keeping pressure on prices, traders said. Preliminary schedules show Nigeria plans to export around 2.07 million bpd of crude in November, down slightly from about 2.13 million in October, trade sources said on Monday. 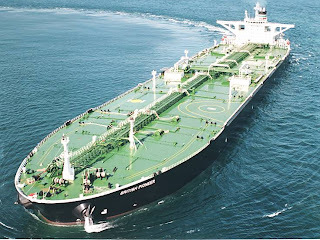 A total of 70 full or part cargoes of Nigerian crude oil will load in November, down from 76 cargoes in October. 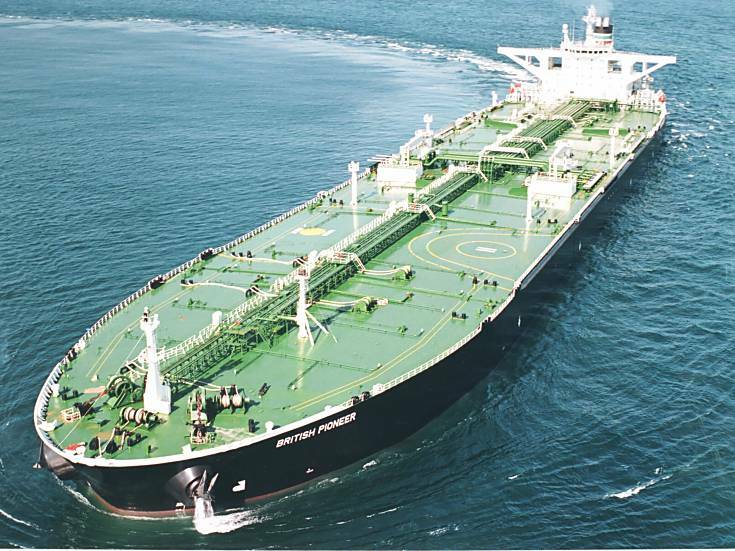 The biggest export stream will again be for benchmark crude oil Qua Iboe, which will load 11 full cargoes of 950,000 barrels each, compared with 12 cargoes in October. But the decline in Qua Iboe will be balanced by an increase in exports of Bonny Light, which will load nine cargoes, the highest level since early 2008. Bonny Light output will average 285,000 bpd in November, up from 245,000 bpd planned in October and below 130,000 bpd earlier this year, due to repairs to sabotaged oil facilities in the Niger Delta. Production of the gasoline-rich crude has long been hampered by militant sabotage of pipelines and platforms in the Delta region, the heartland of Africa's biggest oil and gas industry. Bonny Light production peaked at nearly 500,000 bpd in 2005, when it accounted for nearly a fifth of the total crude output from Africa's most populous nation. Nigerian output had been rising fairly steadily since a government amnesty last year brought a sustained period of peace to the oil-producing Delta, allowing foreign oil companies to repair damaged production facilities and ramp up production. The amnesty, in which thousands of former militants handed over weapons in return for clemency, has allowed Bonny Light operator Royal Dutch Shell (RDSa.L: Quote) to repair damaged infrastructure and build a new pipeline. Oilfields operated by units of Exxon Mobil (XOM.N: Quote) and production streams runs by Eni (ENI.MI: Quote) have also had problems, which are now being alleviated. As much as two thirds of Nigeria's 3 million bpd capacity has on occasion been shut in as a result of militant attacks on oil facilities that increased in intensity from around mid-2006. Holly Pattenden, head of oil and gas at Business Monitor International, said the amnesty had clearly helped boost output. "There has been a huge gain from the fact that they (oil companies) have had this window in which to repair long-damaged infrastructure," Pattenden said. "That has certainly had a big impact. We see export potential continuing to rise." This puts Nigeria well above its agreed production target of 1.67 million bpd as a member of the Organization of the Petroleum Exporting Countries, a target it has exceeded since February 2009, according to Reuters data. OPEC agreed on production curbs in 2008 to support falling oil prices, which dropped from a high of nearly $150 a barrel in July 2008 to below $33 in December the same year. But with U.S. crude oil trading mostly between $70 and $80 per barrel, OPEC members have said they are happy and that there is little incentive to adhere to output limits. Trade sources say Nigerian crude oil exports could be even higher in the next six months if Exxon is able fully to restore Qua Iboe output, which reached 380,000 bpd earlier this year. SAO PAULO (AFP) – Brazil's state-run Petrobras became the world's third-biggest oil firm by market capitalization Monday as it completed a record share issue expected to bring in around 70 billion dollars. After selling the stock on the New York stock exchange from last Friday, in the form of American Depository Receipts, the company began also selling the shares Monday on the Sao Paulo stock exchange. Those shares rose 1.93 percent to 30.23 reals by the end of trading -- higher than the 29.65 reals the new shares were priced at for trading, showing strong demand. The offering has made Petrobras the third largest oil company in the world after US-based ExxonMobil and PetroChina. Brokers, though, said a long-term "uncertainty, a negative pressure" lingered over the shares because of doubts over investors' returns. The government's increase in its stake in Petrobras, from 40 percent to 48 percent, also generated concerns. "The degree of government intervention in decisions during the whole (capitalization) process was too high for a publicly listed company," said Miriam Leitao, an economic columnist for the newspaper O Globo. She noted that Petrobras had lost a quarter of its value over this year because of that preoccupation. "Small investors are in the hands of the government," Fabio Knczuk, an economics professor at the University of Sao Paulo, told AFP. Petrobras is to use the proceeds from the share sale to explore the offshore oil fields, which are so big they could make Brazil a major exporter. The company wants to boost capital expenditure over the next five years to 224 billion dollars to exploit the fresh reserves. Petrobras estimates the so-called subsalt fields could more than triple its existing proven oil reserves of 14 billion barrels. 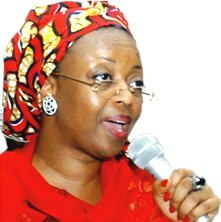 Diezani Alison-Madueke, a ministry statement said Sunday. watchdog, the Department of Petroleum Resources. Sunday Africa 's top oil producer had nothing to show for its OPEC membership. $2 a day, according to World Bank statistics. Lagos — President Barrack Obama has appointed a Nigerian based in the United States, Dr. Kase Lawal as a member, Advisory Committee for Trade Policy and Negotiations. Dr. Lawal is also the Chairman of CAMAC International Corporation, an integrated oil and gas company with several subsidiaries including Allied Nigeria Plc operating in deep offshore. He is serving his 6th term on the Port Commission of the Port of Houston Authority. The Advisory Committee for Trade Policy and Negotiations comprising 30 members, according to a statement, is tasked with providing policy advice on trade matters and is made up of members who represent key sectors and groups of the economy. President Obama said: "I am grateful that these highly qualified men and women have agreed to lend their talents to this administration as we work to boost our nation's exports over the next five years. "When ninety-five percent of the world's customers are beyond our borders, it is crucial that we compete for that business and those jobs. And we need to do so in a way that is responsible and fair. I look forward to the wise counsel these individuals will provide on these issues as we work together in the coming months and years." Lawal who is also the Vice Chairman of the Houston Airport System Development Corporation and Vice Chairman of Unity National Bank has been engaged in philanthropic activities such as Cancer Awareness campaign in Nigeria. He was a member of the United States Presidential Trade Advisory Committee on Africa during the Bush and Clinton administrations. He also served as a member of the National Urban League Board of Directors and as member of the Board of Trustees for Fisk University. Nigeria acquired a 50 percent stake in three “major oil mining leases” from Royal Dutch Shell Plc, according to the state-owned energy company. The licenses, known as 4, 38, and 41, can produce as much as 180,000 barrels a day, Austen Oniwon, chief executive officer of Nigeria National Petroleum Corp., said in an e-mailed statement today. Financial details weren’t disclosed. They will be operated by the Nigeria Petroleum Development Co., the exploration and production arm of the parent company. Nigeria is Africa’s largest oil producer and the fifth- biggest source of U.S. oil imports. Shell, Exxon Mobil Corp., Chevron Corp., Total SA and Eni SpA operate joint ventures with the state oil company. To contact the reporter on this story: Elisha Bala-Gbogbo in Abuja via at +27-11-286-1999 or ebalagbogbo@bloomberg.net. Strong indications have emerged that Nigeria has, over the past five years, lost about $100 billion worth of oil and gas investment, following the Federal Government’s decision to reform the entire petroleum industry, including the restructuring of the fiscal regime. Shell’s Executive Vice-President of Upstream Australia, Ms Ann Pickard, who is equally the company’s Executive Vice-President of Exploration and Production in Africa, said the losses were due to the uncomfortable posture of the major industry players because of the Petroleum Industry Bill (PIB). This emerged as the Federal Government equally acknowledged that the bill had been the source of major concern by the industry operators, disclosing that in response to these concerns, intensive discussions had been held with a variety of stakeholders to find a common ground. As a result of these discussions, 56 changes were made to respond favourably to comments by the petroleum industry through Oil Producer Trade Section (OPTS), 36 changes were made in response to comments by the Federal Inland Revenue Service (FIRS), and 66 changes made in response to other stakeholders, while changes were also made to reflect comments by International Monetary Fund (IMF) and by an international law firm which served as an independent reviewer. Pickard said that Nigeria, one of Shell’s prime investment destinations, tried to introduce a new tax code and consequently, lost about $100 billion worth of oil and gas investment over the past five years. The Shell boss, who had been at the vanguard of the campaign against the PIB, said “above-ground risks” in Nigeria’s oil and gas industry included petroleum retention licence issues, unions and changing fiscal regimes. The Special Adviser to the President on Petroleum Matters, Dr. Emmanuel Egbogah, while addressing some industry operators at the Petroleum Club, Lagos, stated that following the changes made in the PIB, the final version of the government memorandum incorporating these changes had been sent to the National Assembly for their consideration. The Senate and the House of Representatives, it was gathered, had been working independently on the bill and it was currently awaiting harmonisation and final reading before passage into law. Egbogah said that the Federal Government’s efforts at reforming the oil and gas industry were aimed at re-positioning the industry for better performance. The fiscal provisions of the PIB, though would result in slightly higher government take than what is currently existing, would still leave investors with very competitive terms relative to other jurisdictions. He said that it was the Federal Government’s expectation that the reforms would encourage continuous investment by all investors, adding that the proposed acreage management system would provide significant opportunities for other big and small companies in Nigeria or any other part of the world to participate in further development of Nigeria’s oil and gas industry. According to him, the structural changes would ensure clarity in the different roles of the agencies and most importantly foster transparency in the activities of the industry. Egbogah said the industry had some misconceptions about the PIB, which include that the NNPC would be the operator of the Incorporated Joint Ventures (IJVs), explaining that there was no provision in the Government Memorandum to make NNPC the operator. The Special Adviser to the President on Petroleum Matters said: “The IJVs constitute a “Chavez style” takeover of the petroleum industry. Unlike in Venezuela, the Government Memorandum states specifically that the IJV will be similar to the current joint operating agreements. “The strengthening of powers of NNPC through the creation of NNPC is part of an overall process to expand state control. The government memorandum includes a provision that the privatisation of NNPC to any degree is pre-approved. “The Proposed terms of the deep water Production Sharing Contracts (PSCs) make these contracts uncompetitive for further developments. The proposed terms provide for an overall government take that is less than in Angola under most conditions. “The proposed terms make Liquefied Natural Gas (LNG) exports uneconomic. Assuming similar conditions, the proposed fiscal terms for exported gas are similar to Trinidad and Tobago, Egypt and Indonesia. “The benchmarking provisions for project costs will result in much of the costs incurred by investors being denied for Nigerian Hydrocarbon tax purposes. As proposed, there is no intention to deny any costs that represent fair market value other than the costs specifically mentioned in the Government Memorandum. “Domestic gas prices should be market based. The Government memorandum provides for a market based system of domestic gas pricing from 2014. “It is not economic to invest in gas pipelines and processing plants to connect the gas resources to the power plants. The provisions in the Government memorandum provides for one of the highest regulated rate of return in the world on gas pipeline and gas processing investments. “The implementation of the new midstream regulatory system will require large scale internal reorganisation on the part of existing International Oil Companies (IOCs) in order to be both producers and transporters of gas in Nigeria. This will be time consuming and expensive. The only requirement in the Government Memorandum is for existing IOCs to create subsidiaries dedicated to transportation. (Bloomberg) -- Total SA has amassed the oil industry’s largest cash pile that will help it buy oil fields to sustain production growth. France’s biggest oil company increased its holdings of cash and near-cash items to a record 14.8 billion euros ($19 billion) at the end of the second quarter after the sale of shares in drugmaker Sanofi SA and assets in Norway and the Gulf of Mexico. That’s more than Exxon Mobil Corp.’s $13 billion and Royal Dutch Shell Plc’s $12 billion, data compiled by Bloomberg show. Chief Executive Officer Christophe de Margerie, who will outline strategy to investors in London tomorrow, says production will grow 2 percent a year after reaching a nine-year low in 2009. The company, the industry’s most active acquirer this year, has pledged to buys assets in Australia, Canada and the U.S. and will continue to purchase stakes in fields and smaller producers, analysts said. “A good answer to the excess cash would be for Total to acquire more frontier exploration assets,” Alexandre Andlauer, analyst at Alpahvalue SAS, said by e-mail. Total has announced plans to spend as much as $4.5 billion on gas and oil sands assets. The company will acquire 20 percent of a liquefied natural gas project fed by methane trapped in coal seams in Australia’s Queensland state. It’s also completing the purchase of Canadian oil sands company UTS Energy Corp. and a stake in Chesapeake Energy Corp.’s U.S. shale gas assets. “They are on the prowl for niche acquisitions,” Mark Gilman, an analyst for Benchmark Co. in New York, said by telephone. The company’s share price has lagged behind its peers this year, dropping 13 percent in Paris. Shell, the biggest European oil company, has dropped 0.9 percent. The underperformance is partly because Total, Europe’s largest oil refiner, is more reliant than rivals on processing fuel, where returns have been poor, Andlauer said. “I wouldn’t be surprised if there are more of these bolt- on” acquisitions to maintain production, Sanford C. Bernstein & Co. analyst Oswald Clint said by telephone. Buying companies whole is less attractive because of the premiums involved, he said. Clint said Korea National Oil Corp.’s $2.6 billion hostile bid for Dana Petroleum Plc, where its offer represented a 59 percent premium to the U.K. explorer’s pre-bid share price, demonstrates the cost of larger corporate acquisitions. Total has announced 10 purchases this year, more than any other oil company, according to Bloomberg data. The industry is the world’s busiest for deals, with a total of 561 transactions adding up to $120 billion. “Total typically would like to buy upstream acreage to increase its footprint” in some regions like Brazil, Gudmund Halle Isfeldt, an analyst at DnB NOR ASA, Norway’s largest bank, said by telephone. “Seldom does one company have all of what another needs” so Total and Shell prefer to “carve out assets” rather than buy whole companies, he said. Total spokeswoman Phenelope Semavoine declined to comment on acquisition strategy before tomorrow’s meeting. Total June entered Brazil’s deepwater pre-salt region, where the Tupi field is the Americas’ largest oil find since 1976, with the purchase of a 20 percent interest bought from Shell in a Santos Basin license. Assets up for sale include some held by BP Plc, which is selling about $30 billion worth to cover clean-up costs in the Gulf of Mexico following the oil spill caused by the Deepwater Horizon blowout. Disposals may include stakes in Alaska’s Prudhoe Bay and Pan American Energy LLC, Argentina’s second- largest oil producer. Tullow Oil Plc plans to bring in Total and China National Offshore Oil Corp. as partners in Uganda, although the deal has been held up until a dispute over tax between the government and Heritage Oil Plc is resolved. Uganda is a new country for Total, which gets most of its African output from Angola and Nigeria. Other areas where Total may be planning to expand include the Arctic Yamal Peninsula in Russia, where OAO Novatek is leading a liquefied natural gas project, and China, analysts said. 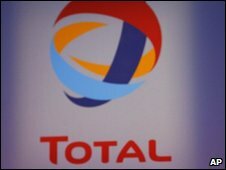 Total in July reported a 72 percent increase in second- quarter profit and said production will grow more than 2 percent this year and by about that rate, on average, annually through 2014 after starting fields in Nigeria, the Gulf of Mexico, Angola and Norway, as well as liquefied natural gas projects in Yemen and Qatar. 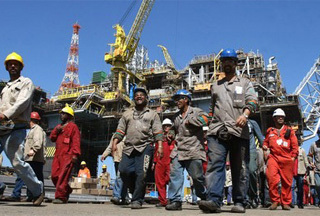 Total’s next wave of projects to boost production isn’t scheduled to come on stream until 2012, starting in Angola, Nigeria and then Thailand. Getting a boost from acquisitions is possible, although they may be limited in scope, according to Bernstein’s Clint. --Editors: Will Kennedy, Jonas Bergman. OPEC’s compliance with record supply cuts was unchanged in August as increased output from Angola and Iran offset lower production from Nigeria and the United Arab Emirates, the International Energy Agency said. The 11 members bound by quotas kept output at 26.8 million barrels a day last month, implying compliance of 53 percent, the Paris-based IEA said today in its monthly report. Supplies from all 12 nations, including Iraq, fell 0.2 percent to average 29.15 million barrels daily. The Organization of Petroleum Exporting Countries, responsible for about 40 percent of world crude oil supply, announced a record limit on production in December 2008 as global demand collapsed. The group’s adherence to the cut of 4.2 million barrels a day, capping output at 24.845 million, slipped as prices rebounded 78 percent last year. The compliance percentages are calculated based on the 11 nations targeting a 4.2 million barrel-a-day reduction from a base production rate of 29.045 million barrels a day in September 2008. Angolan supplies rose by 50,000 barrels a day to 1.79 million barrels after Total SA resumed operations from its Girassol field, according to the IEA. Angola and Nigeria were the least compliant with their individual quotas, failing to implement any of the agreed supply cuts. Nigerian output declined by 20,000 barrels a day to 2.14 million last month “due to sabotage,” the agency said. Royal Dutch Shell Plc declared force majeure on Bonny Light oil exports in August and September because of theft, the company said on Aug. 18. Saudi Arabia, OPEC’s largest producer and the member conforming best with output cuts, kept production at 8.28 million barrels a day, unchanged from July, the IEA said. OPEC’s 12 members are Algeria, Angola, Ecuador, Iran, Iraq, Kuwait, Libya, Nigeria, Qatar, Saudi Arabia, the United Arab Emirates and Venezuela. Iraq is exempt from the quota system. Force majeure is a legal clause that allows producers to miss export obligations because of circumstances beyond their control. Oil cartel OPEC is celebrating its 50th anniversary. On September 10, 1960, a conference kicked off in Baghdad which led to its formation. Europe correspondent Stephen Beard talks with Steve Chiotakis about whether OPEC has been a success. Oil giant Royal Dutch Shell says an oil spill this week in Nigeria's oil-rich Niger Delta was caused by sabotage, and that such attacks are on the rise. In a statement Sunday, the oil company said their Cawthorne Channel-Bonny pipeline had been attacked three times in August. said that in the three attacks, thieves drilled holes in the pipeline or cut it with hacksaws to siphon oil. Shell said that following the latest incident, it cut oil to the pipeline to prevent leakage and was working to fix the damage and clean up the spill. The company did not give details on the extent of the spill or the impact the sabotage incidents has had on Shell's Nigerian output. In Sunday's statement, Shell claimed 98 percent of oil spilled in 2009 was the result of sabotage, but said it had cleaned all spills, regardless of the cause. Shell said the damage from the two earlier attacks in August had already been repaired. Saboteurs in Nigeria sometimes cut oil lines to steal crude oil to sell to illegal refineries. Shell's oil facilities in Nigeria also have been the regular target of militants, who have blown up pipelines, kidnapped oil company workers and fought government troops since 2006. The militants call for Niger Delta residents to get more of the region's oil wealth. CADEREYTA, Mexico– An explosion ripped through a major Mexican refinery on Tuesday, killing one worker and pushing gasoline prices higher on market talk that Mexico's state oil company Pemex might have to import more fuel. Pemex, the world's seventh largest oil producer, said a 32-year-old engineer was killed and two workers were severely burned when a compressor leak at the Cadereyta refinery's gasoil hydrotreater unit triggered an explosion and a fire. While authorities subdued the fire, Pemex did not say how the accident impacted operations at Cadereyta, the third largest and most sophisticated refinery in Mexico with a capacity of 275,000 barrels per day. "We felt the windows shake. It was only a few seconds, but the whole building shook," said Jose Luis Garza, a government employee in Juarez, about 20 minutes from the refinery in northern Mexico. The blast could force Mexico, which already relies on imports for more than 40 percent of domestic gasoline demand, to significantly boost fuel imports. The explosion comes in a year marred by serious accidents in the North American oil industry, including the Deepwater Horizon spill, a major pipeline accident in Michigan and an explosion at a Gulf of Mexico natural gas platform. Francisco Montano, a Pemex spokesman in Mexico City, said the blast took place in one of the refinery's hydrotreating units, which removes sulfur from fuels under high pressure in the presence of explosive hydrogen gas. Pemex, which must import fuel due to a lack of refining capacity, bought 432,000 barrels a day of fuel from the United States in June, making it the top importer of U.S. refined products, according to the U.S. government. U.S. RBOB gasoline futures jumped after the explosion, and were trading 1.44 percent higher in New York. "Mexico is already short of refining capacity and this will make it even shorter," said Antoine Halff, deputy head of research at Newedge Group in New York. "It could well raise oil product prices as Mexico needs to increase imports." A Gulf Coast products trader said it was "hard to gauge" whether Pemex would pull more U.S. exports in the aftermath of the explosion. "Pemex already moves a lot of cargoes off the Gulf Coast," the trader said. Pemex, struggling under a mountain of debt and rapidly aging oil fields, is studying a plan to import crude oil for the first time in over three decades to improve the profitability of its refineries. Oil exports account for about a third of government revenues in Mexico, which is struggling with its deepest recession since 1932.